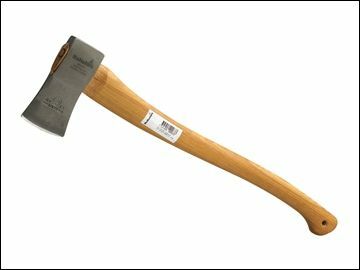 The Hultafors HULHY10175SV Chopping Axe is suitable for small-scale tree felling and manufactured in blasted and clear lacquered ironwork. The wooden handle is curved and made of hickory and is treated with linseed oil. The axe is particularly suitable for branch trimming and clearing bushes.